Your wedding day goes dark.. and your fianc?e has no idea who's behind it all. You've come to seek your grandmother's blessing to marry a kind prince, but his very own court magician attacks! 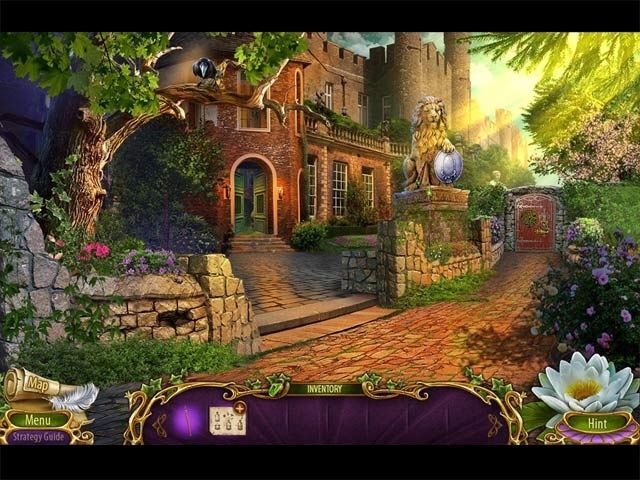 In this exciting continuation of the Dark Romance legacy, recapture your place beside your beloved prince... When you're not playing as him, that is. This game's unique feature shows there are two sides to every story. Enjoy gorgeous fantasy HOPs in fractured object, list, morphing, and interactive styles, too! The Collector's Edition version is chock full of extras: find feathers to spend on items in your boudoir, collect statuettes, look for pieces of a stained-glass window puzzle, gather notes, and more! Play as a mermaid in the bonus game! Play fractured, list, morphing, and interactive HOPs!